Here are some drawings prepared by LazyPup that do a nice job of summarizing the key requirements of setting a toilet to code. 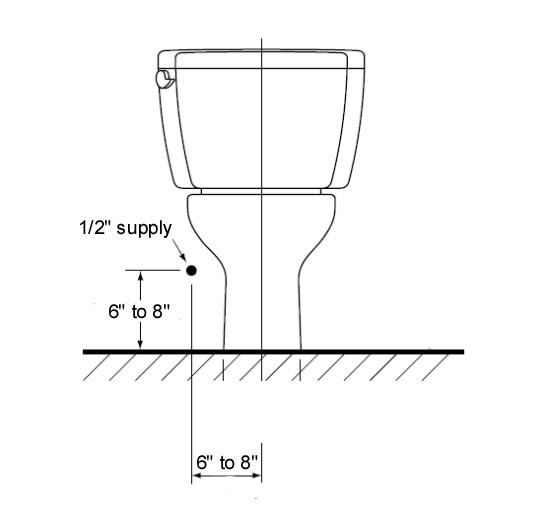 Note that the standard toilet rough-in is 12" from finished wall. Certain manufacturers do offer special models for either 10" or 14" rough-ins. Toto is one manufacturer offering a field adjustable unit, 10" to 14". 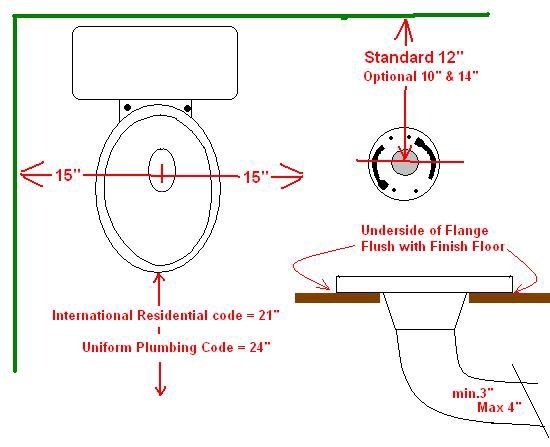 Ideal height for toilet flange is resting on top of finished floor. Quite often, tiling a floor results in the flange sitting too low. Flange extenders, commonly available most anywhere plumbing supplies are sold, are a convenient way to remedy this problem. 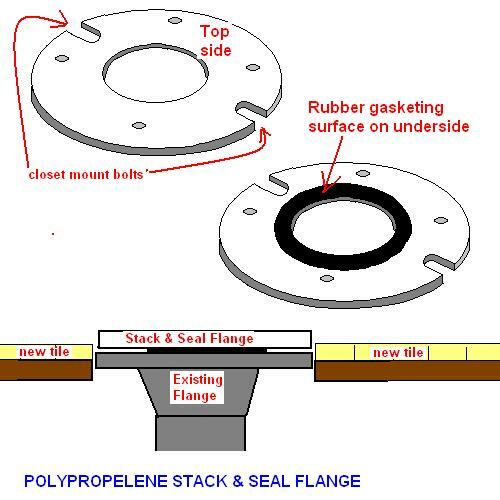 Stack & Seal is but one of many brands of flange extenders. Read the instructions carefully as they do vary. From Toto USA, this drawing showing the typical location of water supply for most common residential toilets. For a more precise recommendation, consult manufacturer's installation instructions. 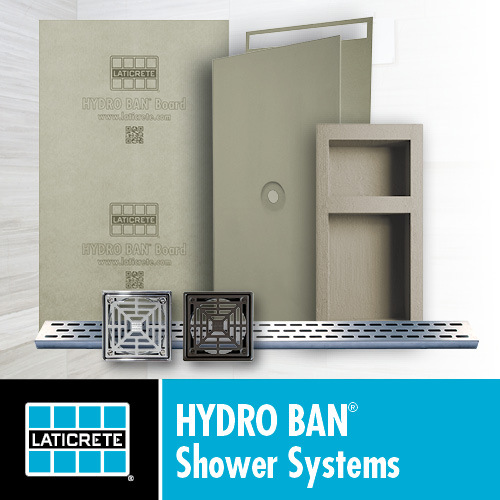 Another consideration to keep in mind will be the height of cove tile or base molding used, plus whatever clearance allowance is required for the water stop/valve trim ring (escutcheon). Last edited by Mike2; 06-02-2007 at 08:25 AM.